A member of the "DREAM 34" — a group that marched to the Laredo port of entry to criticize U.S. immigration policies and to seek political asylum — is facing deportation. He says his actions were the right thing to do. 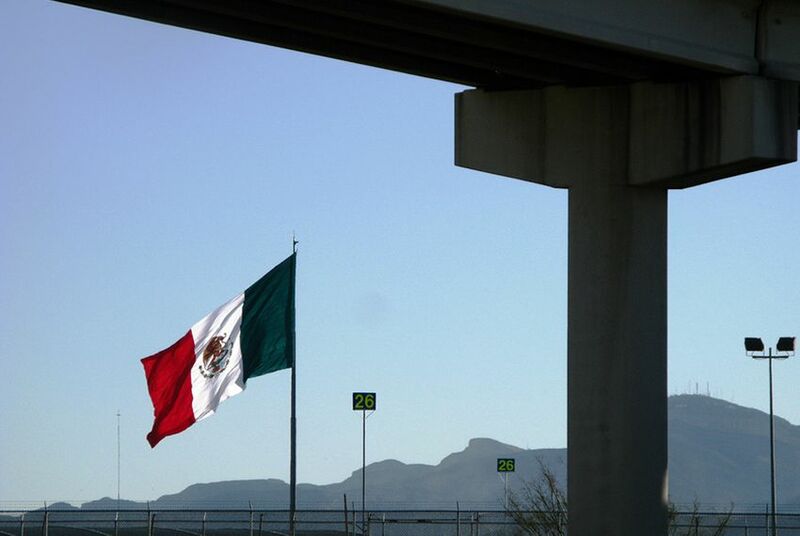 EL PASO — Even before a judge confirmed Wednesday what Edgar Torres Hernandez knew was coming — that he would soon be deported to Mexico — Torres remained confident that his controversial actions were the right thing to do. In September, Torres joined the so-called DREAM 34, a group of deported undocumented immigrants who had once lived in the U.S and marched to the Laredo port of entry to say U.S. immigration policies are unfair and to seek political asylum. Some, like Torres, were detained, while others were interviewed and subsequently released. Critics, including some immigration attorneys and DREAMers in the U.S., say the actions of the DREAM 34 (previously known as the DREAM 30) and the DREAM 9 in Arizona undermine the system, damage legitimate asylum cases and detract from the current immigration-reform debate. To be granted political asylum by the U.S., applicants must show what the government calls a “credible fear” of returning to their home country. Torres, 22, who came to Texas when he was 7 on a tourist visa and graduated high school in The Woodlands, said critics don’t realize the fears that he and others like him face in Mexico. “If they are honestly waiting for one of us to die or get hurt, that’s downright inhumane,” he said. “One of my own cousins was shot four times.” After being deported to Nuevo Laredo, where he didn't have family, he made his way to Monterrey to be with his grandmother and aunt. Following his September detention, Torres said, his claim of credible fear was denied after a phone interview with an asylum officer. “According to them, there is no high probability that I would be targeted in the future,” he said. But he and his family have been threatened, he said, and he worries because his family's home sits vacant due to its proximity to a well-known neighborhood cartel member. "They will take us out by force," he said. He appealed the ruling and appeared before a judge on Wednesday. He and two others who appeared with him were denied again, said his mother, who lives in the Houston area and did not give her name because she is in the country illegally. Torres could be deported as early as this week if he’s denied another appearance. A call to Immigration and Customs Enforcement seeking more details on Torres’ case was not returned. Torres’ problems began shortly after he graduated from high school in The Woodlands in 2009. He got into a fight off campus, and the police were called. He was run through the system and deported shortly thereafter. He has two sisters, one who is a citizen and another who received deferred action status, which means she can legally work and reside in the country for two years without being deported. The family waited for Torres to try to enter the country through legal channels, but he was denied. Now, his mother said, they are out of options could soon be headed to Mexico. The DREAM 30 became part of a dispute that came to light recently involving U.S. Rep. Luis Gutierrez, D-Ill., the chairman of the Congressional Hispanic Caucus’s Immigration Task Force and a member of the House Judiciary Subcommittee on Immigration. Gutierrez’s spokesman, Douglas Rivlin, said in a statement that members of the National Immigrant Youth Alliance and DREAMActivist.org met with the congressman about the DREAM 30 but that the NIYA recorded the meeting surreptitiously. He said such actions are preventing Gutierrez’s office from working further for DREAM 3o members and related causes. In response, the groups said they haven’t had a working relationship with the congressman since 2012 and labeled Gutierrez an elitist. While Torres and his family deserve sympathy, there is too much at stake to fall in line with radical movements, said DeeDee Garcia Blase of Somos Independents, a group of Latinos pushing for comprehensive immigration reform. Torres’ mother pushes back against criticism of the efforts of her son and the DREAM 34. “If Martin Luther King Jr. wouldn’t have protested when he did, Obama wouldn’t be where he is,” she said. She says that her brother is being extorted in Mexico and that she has been sexually assaulted there. To return there means a return to impunity, she said.